For as little as �39-99 we can bring new life into your broken up and over garage door, folding sectional door, hinged garage door or roller shutter door. The perfect economic solution to your garage door problems. We used to fit the best, but now we fix the rest!. We will attend at a time convenient, to suit you, to fix your garage or garage doors. Give us a call today you will not be disappointed with our repair service. We service the major towns and cities of the North East from Sunderland to Newcastle, Gateshead, Durham and the surrounding areas. Our garage door repair service can result in a drop in your vehicle premium. Our locks are of the highest standard on today's market and we can repair existing garage locks back to their original high standard. We service the Newcastle, Durham, Gateshead and surrounding areas. If you are in the North East we will be able to attend, call today and see how we can repair your garage doors with professionalism and courtesy. Whether it�s a faulty door or another garage related problem you can be assured if we can�t fix the problem we can offer a suitable solution. Operating throughout the Tyne and Wear area we have serviced and satisfied hundreds of clients who have faced garage repair problems. 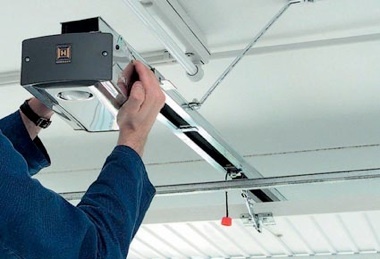 Our expertise has led to us working on various garages throughout the area. No matter the problem you may be encountering rest assured the garage-fixer will be able to fix it. Call today and see how we can service your garage, competitive rates and a friendly service offered.